To download these documents, please click here. 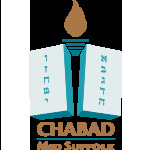 The Chai Club is comprised of individuals committed to the financial support of Chabad of Mid-Suffolk. We rely on the commitment of the people of our community to ensure the financial stability of our organization. A crucial element of support for our work comes from hard-working individuals who commit to a monthly contribution. These monthly donations add up and make a great difference in covering our operational budget. To learn more about the Chai Club, please click here. * All contributions are tax deductible and can be paid throughout the year. No one is turned away for lack of funds. If you cannot afford the full amount requested, contact the Rabbi @ rabbi@ChabadMidSuffolk.com for a confidential arrangement.